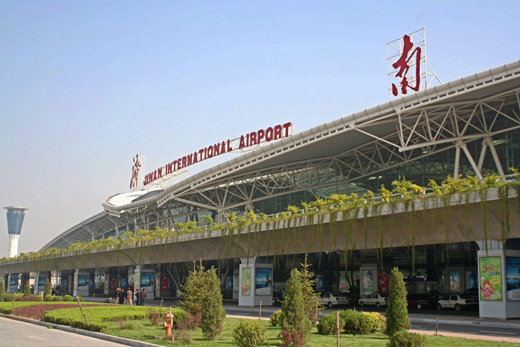 Jinan Yaoqiang International Airport (simplified Chinese: 济南遥墙国际机场; traditional Chinese: 濟南遙牆國際機場; pinyin: Jǐnán Yáo Qiáng Guó Jì jī Cháng) or Jinan International Airport (simplified Chinese: 济南国际机场; traditional Chinese: 濟南國際機場; pinyin: Jǐnán Guó Jì jī Cháng) for short is the major airport of Jinan, Shandong, China (IATA: TNA, ICAO: ZSJN). The airport is located approximately 33 km (20.5 miles) from the city center of Jinan and immediately to the north of the town of Yaoqiang (simplified Chinese: 遥墙镇) from which the airport's name is derived. 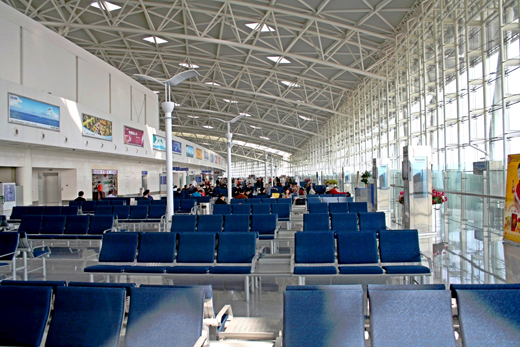 By road, the airport is connected to the Jiqing (Jinan – Qingdao) and Jingfu (Beijing – Fuzhou) expressways. Note: Flights to and from Hong Kong are treated as international flights.